We’re now spending almost 90% of our time indoors, and that doesn’t necessarily mean we’re breathing cleaner air. In fact, according to the Environmental Protection Agency, the pollutant levels indoors can be 2-5 times (and, occasionally, more than 100 times) higher than outdoor levels. 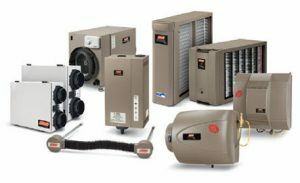 Using quality air cleaners from a trusted company like Best is more important than ever to ensure your family is breathing clean, healthy air inside your Utah home…where you can control it. The Coleman Hybrid Electric Air Cleaner is the most effective whole home air cleaner in its class, and is ideal for homeowners sensitive to airborne virus, bacteria or mold particles. The Coleman air cleaner gives you cleaner air every time your home comfort system runs, while using less energy with low air flow resistance. Let Best help you breathe easier with an air cleaner in your Utah home. Contact us today.